Thanks so much for visiting my blog–the first stop on the ScrapMatters blog train. 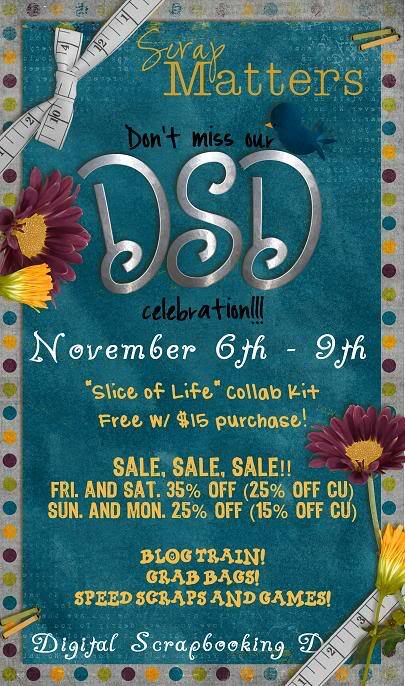 Digital Scrapbook Day (DSD) has been so much fun this year and it is just getting started. So many totally fantastic treats are in those grab bags. 😀 You add a sale and I’m in digital scrapbook and hybrid heaven. 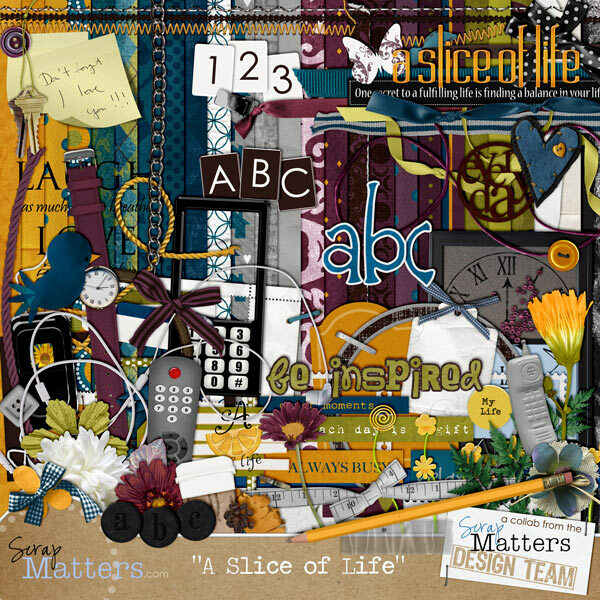 To celebrate we have this great collab kit, “A Slice of Life.” It is perfect for scrapping those everyday moments–going for walks, watching tv, picking up the kids and just hanging out. It is also FREE with a $15 purchase November 6-11th. Click on the preview or here to go grab it from 4shared–sorry link expired. This quick page will soon be available in the SM shop as part of the A Slice of Life Quick Page Album. This entry was posted in about me, andilynn designs digital freebies, andilynn digital freebies, digital scrapbook, digital scrapbook sites, ScrapMatters. Bookmark the permalink. Thank you so much for the pretty quick page. Thanks so much for the beautiful quick page! Great QP Andrea! Thanks for sharing! Wonderful quick page! Thank you!